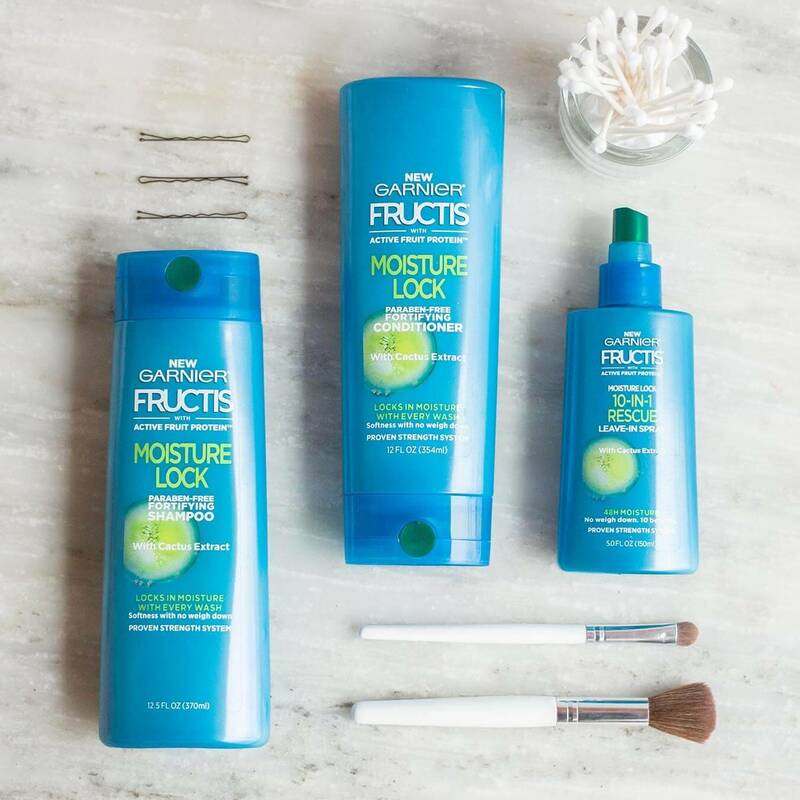 Fructis Moisture Lock with Cactus Extract locks in 48 hours of moisture* into normal to dry hair with every wash, while strengthening strands to help prevent moisture loss & help resist chronic dryness from frequent shampooing. Hair feels weightless, softer and looks shinier, even after washing up to twice a day! Massage onto wet hair, lather and rinse thoroughly. Follow with Moisture Lock conditioner and leave-in spray. Native to the driest places on earth, the cactus is a sophisticated succulent that absorbs and stores water in desert conditions. Infused in skin care and hair care formulas, Cactus Extract has the same effect--sealing in moisture and hydrating severely parched pores and strands. Everything you need to complete your Moisture Lock hair care routine. Rated 5 out of 5 by 179836 from Dry sad skin I tried this sample and I love it. My skin can get so dry the older I get and this Moisture Bomb is actually a great bomb of happiness for my sad dry skin. Rated 5 out of 5 by Santo from The Best!!!! I love it, excellent to my hair. I have problem with my scalp, but this product keeps me under control, I love it. Rated 5 out of 5 by MrsCleanShampoo from Moisture Lock is my go to hair care line. I have used this product for 6 months and it's amazing for my long,thick and oily hair. Makes my hair smell awesome leaving it so very fresh and clean. Never discontinue. Highly Recommended for people who have very thick hair. Rated 5 out of 5 by Margery from Excellent!! My hair is usually really frizzy after I brush it and I have to put hairspray in it and brush it down just to tame it. 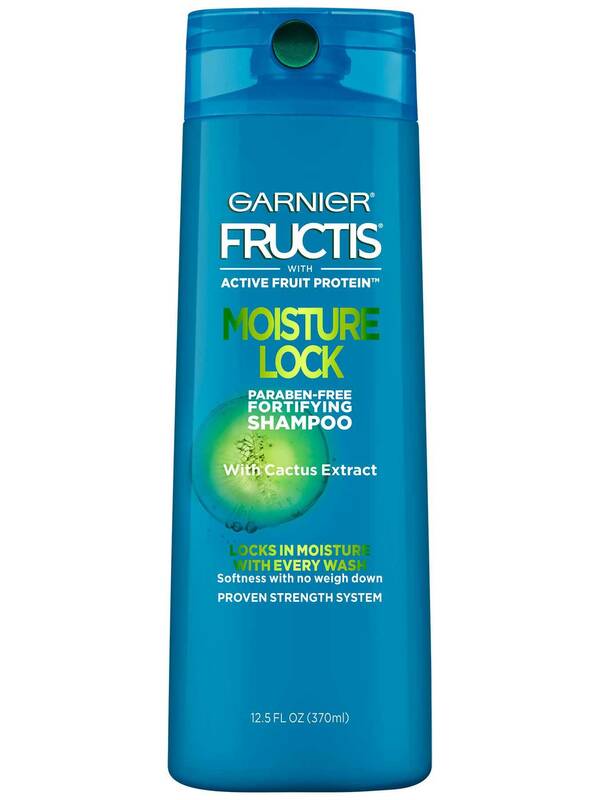 With the Garnier Fructis Moisture Lock with Cactus Extract I don't have to spray my hair!! It stays in place with no frizz, it's super soft and I can run my fingers right through easily! 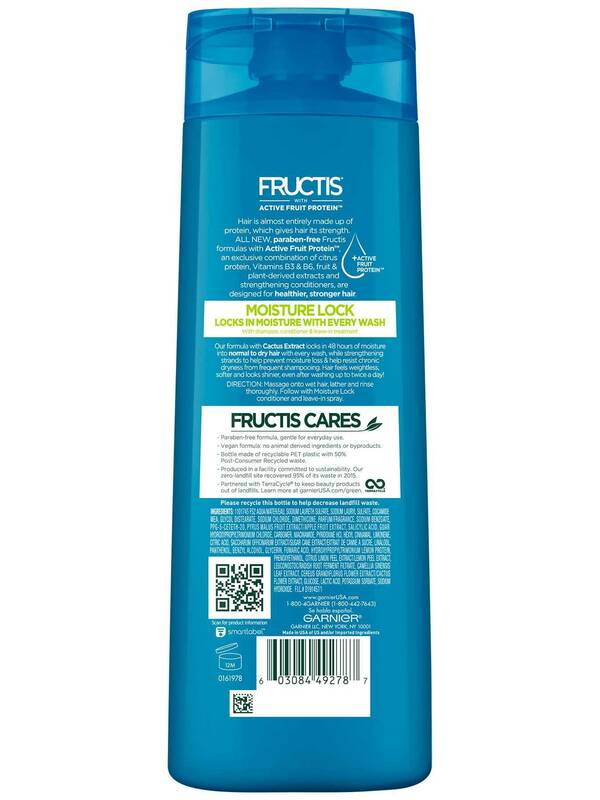 Rated 4 out of 5 by relita from Does what it promises I got a free sample of Garnier Fructis Moisture Lock shampoo and conditioner and am pleased to say it works and works well. I usually wash my hair every other day, if not every day, so it tends to be on the dry side. This formula restored the moisture to my hair which helped take care of the frizzies I fight constantly. Rated 5 out of 5 by Raidersfan4life from Live it I received it from a store grand opening sample and absolutely loved. I went out and bought some. Then I ran our of the conditioner so I went to get some more and Walmart took it off their shelves I am so mad. I finally found a product of yours that doesn't have oil in it and now I can't get it where I live. So not happy. Rated 5 out of 5 by MrsWonderful from Moisture Lock Is Amazing! After using the Moisture Lock Shampoo and Conditioner for 3 months, my thick and oily hair is super healthy and soft. I'm extremely happy that my hair looks fabulous and smells amazing. Awesome scents that leave your hair fresh and clean. Rated 5 out of 5 by 176890 from This product is pretty amazing! My face is oily naturally and using a normal moisturizing lotion would only make my face more oily as the day went on, but the Garnier SkinActive Moisture Bomb didn't make my face oily at all! I was super impressed! And it's so lightweight too, love it!